Elderly drivers are keeping their licenses longer and driving more miles than in the past. According to the National Highway Traffic Safety Administration, there were 36.8 million licensed drivers aged 65 and older on the road. And while it has been statistically shown that elderly drivers cause fewer accidents than any other age group, they are at an increased risk of being involved in fatal accidents. Elderly drivers, while generally more cautious drivers, share certain unavoidable characteristics that can cause accidents. Mobility is a main contributor. Eighty percent of people in their 70s suffer from arthritis, making turning, flexing, and twisting painful. 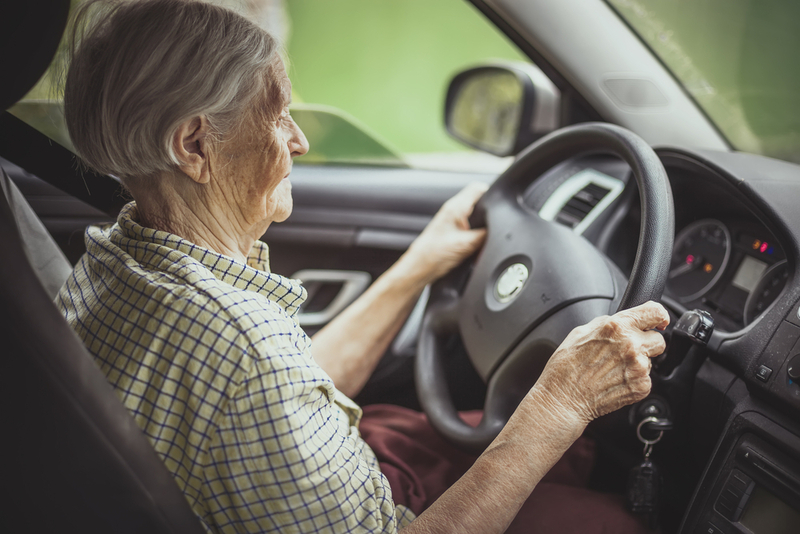 Such limited mobility increases the risk of elderly drivers being unable to steer quickly, adequately check their blind spots, or correctly maneuver their car to avoid an accident. Another factor that can impair or hinder an elderly driver’s ability to drive safely is medication. Over two-thirds of seniors are on five or more daily medications, many of which have side-effects like disorientation, drowsiness, and other risks related to driving. In addition, prescription drugs taken in conjunction with other medications can cause unique reactions making their impact of a person’s driving ability unpredictable. The capacity of one elderly driver is not the same as another. Older drivers need to be aware of their limitations in order to drive safely.